Out of Office & In Kingston! Well, why not mix a bit of pleasure in there – don’t let a business trip overwhelm you. Between planning for presentations and meetings, following baggage guidelines and packing your luggage, getting ready for a business trip can seem like a project of its own. Keep your workload to a minimum and maximize the time you have by using the following tips to help you enjoy your stay in Kingston to the fullest! The city is filled with history, culture, wonderful attractions and a beautiful waterfront for you to relish in. Travel in comfort onboard a VIA Rail trail. The options are endless – train, car or plane. 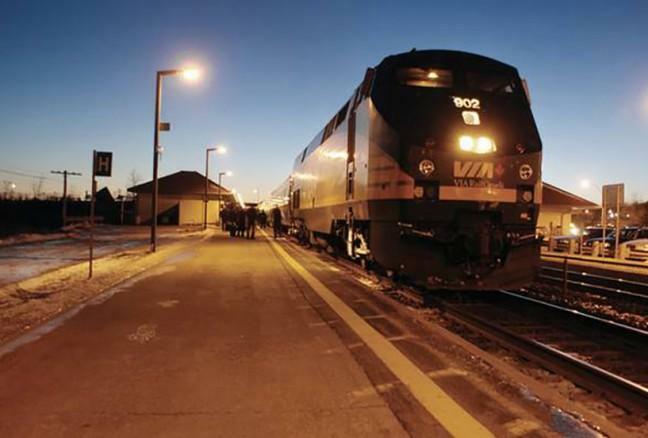 VIA Rail provides business and leisure travellers with convenient rail service to and from Kingston from major cities such as Montreal, Ottawa and Toronto. Sit in comfort and maximize your productivity – enjoy the benefit of priority boarding, meal, free Wi-Fi and a scenic route. Time crunch? Convenient flights are available daily between Kingston and Toronto. Business in downtown Kingston? Historic Inns are a great choice for a night stay. Located conveniently in downtown Kingston, choose from one of many historic inns that will cater to your every need. Give yourself or your clients a true taste of Limestone City’s charm. The Frontenac Club Inn, on the corner of King and William Street is one of the city’s many historically designated limestone buildings and is just a few minutes from Market Square. It boasts all of the modern amenities needed on a business trip – high-speed wifi, air conditioning, voicemail and a gorgeous meeting space – not to mention Aveda bath products. 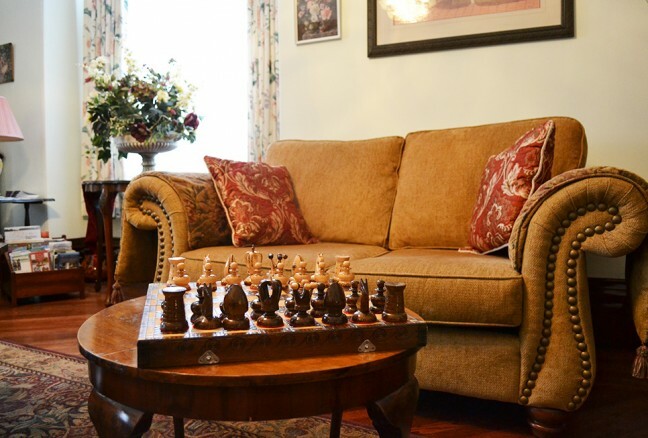 If you want to experience history and elegance, The Secret Garden Inn offers a charming ambience and is centrally located in the historic Sydenham Ward, just blocks away from Queen’s University, great shopping and restaurants, and the beautiful Lake Ontario waterfront. If you have access to a vehicle, The Greenwoods Inn is one of Kingston’s best-kept secrets within city limits. With modern conveniences, it possesses a great meeting space perfect for small groups, complimentary Wi-Fi and parking. Looking for a more typical stay? Don’t look any further – Residence Inn by Marriott Kingston’s Waters Edge, Four Points by Sheraton Hotel & Suites Kingston and Delta Kingston Waterfront Hotel are all wonderful options. 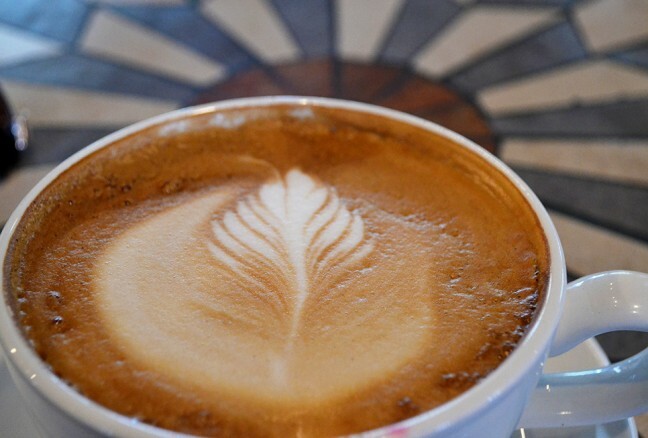 The Common Market is a retreat that offers quality coffee in a relaxing atmosphere. The culinary scene in Kingston is quite spectacular and will not disappoint – dine at one of the many acclaimed restaurants with skilled and talented chefs or perhaps a food truck if you or clients are adventurous! Early morning riser? Your taste buds will surely be impressed with an early wake me up caffeinated beverage at The Common Market or a freshly baked muffin from Pan Chancho Bakery & Café on Princess Street – both within walking distance of most hotels and historic inns in downtown Kingston. If your job involves entertaining clients, an enjoyable dinner can help build long-lasting relationships within business. 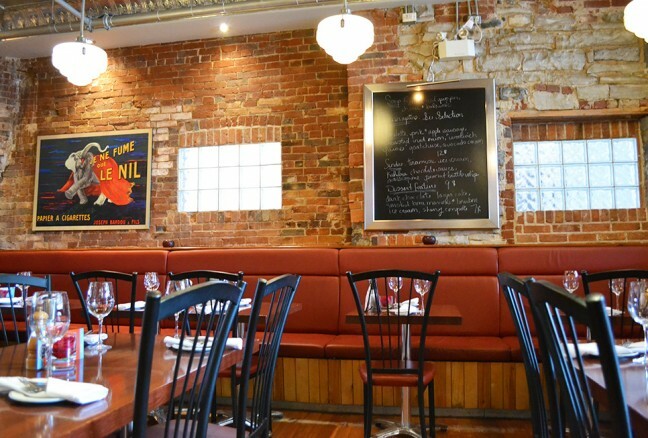 Located in Kingston’s downtown Market Square, Casa Domenico provides a fresh perspective on Italian style cuisine while Olivea is a family-run traditional Italian trattoria next door – both feature dinner specials and extensive wine lists as well as private dining rooms. Just right up the street, Le Chien Noir’s courtyard is the ideal place for a glass of wine after a long day. Let’s not forget AquaTerra, which provides a magnificent waterfront dining experience overlooking Lake Ontario and located within the Delta Hotel. Le Chien Noir Bistro is a proud supporter of local foods and an exceptional dining establishment for business lunches or dinners. Business over drinks is a great way to socialize as well as network and Kingston is filled with go-to pubs for casual drinks like Red House on King Street, Sir John’s Public House, The Iron Duke on Wellington and the Kingston Brewing Company. Remember moderation! Bon Appétit & Happy Conversation! Even if you have limited free time, your business trip doesn’t have to be all work and no play. Eat healthy by enjoying locally produced foods at the Kingston Public Market, every Tuesday, Thursday and Saturday in Springer Market Square. Hit the fitness centre in your hotel, take a quick jog along the waterfront to clear your mind or head to Ahoy Rentals for a paddle on Lake Ontario (weather permitting, of course). Have a few minutes to spare within your busy work filled day? 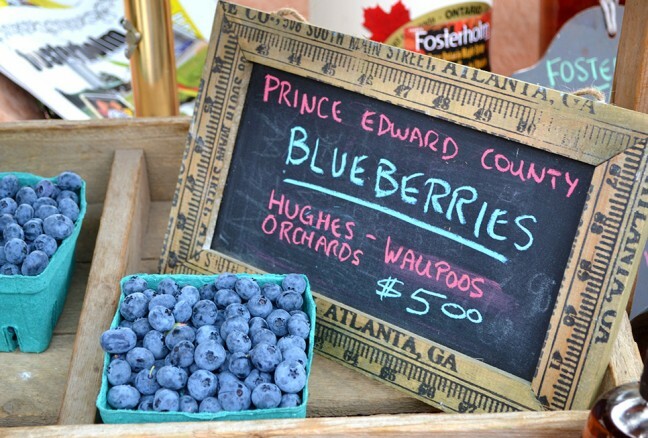 Head to the Kingston’s Public Market for a local taste of our city! Create memories! Don’t let every business trip look like every other one! 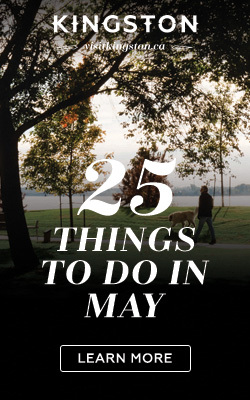 If you have time, check out a Sunset Ceremony at Fort Henry, a show at The Grande Theatre, or even roll it into a weekend. 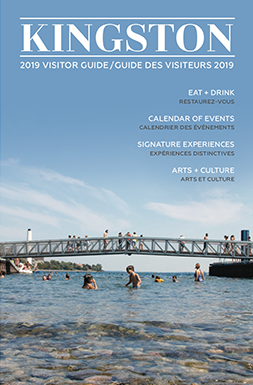 Even if you have only an hour to spare, hop on a Kingston Trolley or rent a car – stop by the Visitor’s Centre on Ontario Street for a knowledgeable guide to show you the local highlights and events.